It’s Thursday, so tomorrow is Friday which means that it’s high-time to start looking forr a world to get lost in for next weekend! Today we have two good opportunities for you. 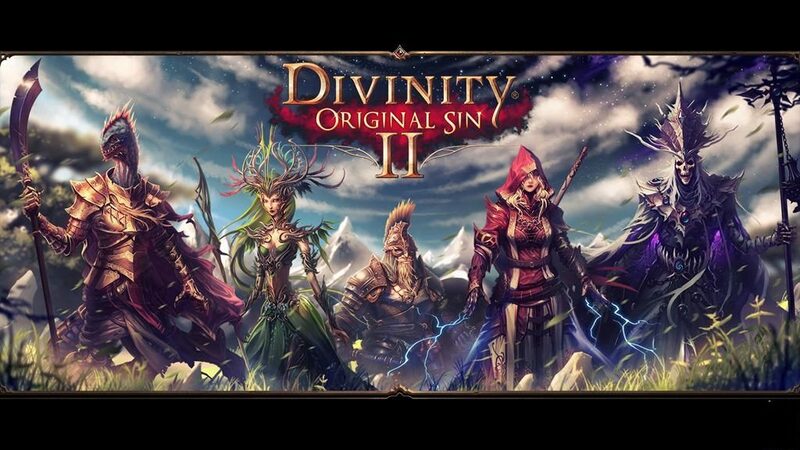 Divinity: Original Sin 2 is like a good book when all author does is giving us a story line and we draw the picture. New Divinity gives us a goal, but the choice of people we meet, places we go and things we do is completely on us. Our unique, personall experience. Isn’t this great? Now imagine playing in a company of four people. Every charachter in the party is writting his own, personal story. If you wish, players won’t even meet until the very end of the game. We will definetly by it, and try it, and tell you about in our weekly gameview. The game is to be released today in Steam Early Access. The final release is now planned for this December. Если вдруг кто-то не любит РПГ или кооператив — Букер, лови! Сегодня выходит Bioshock: The Collecton. Welcome to the Bioshock airlines. We are currently flying over the Atlantic ocean. Fasten your seatbelts and get ready to fall with further tour around the city of Rapture. Within this tour we will visit local sightseeings, labs making “Adam” elixir, that turns people into mutants, two “sisters” and their “daddy”. We promise, you will like it. Next in our list is meeting the wonderful ocean in a diver suit. To end our tour, we suggest you meet a cute guide, who will take you to the city of Columbia. New edition contains remastered versions of all games with 1080p and 60 FPS, all DLC released and exclusive videos from game development with comments from the authors. A true gift for fans.